Stretching people is a request, not a demand. Real relationships include the right to say, No. The ability to say, No, makes challenging people healthy. If people can’t say, No, it’s a demand, not a request. 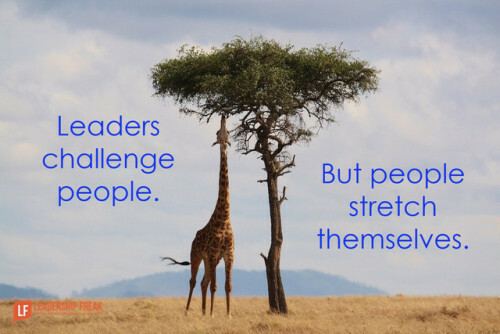 Leaders challenge people. But people stretch themselves. Sometimes leaders give direction. Understand the difference between, I need you to. and Would you?.